Hayes: "They can't calculate heart, will to win, desire. They can't put those into percentages. #Badgers trailed by 7 & called TO w/5:16 left. 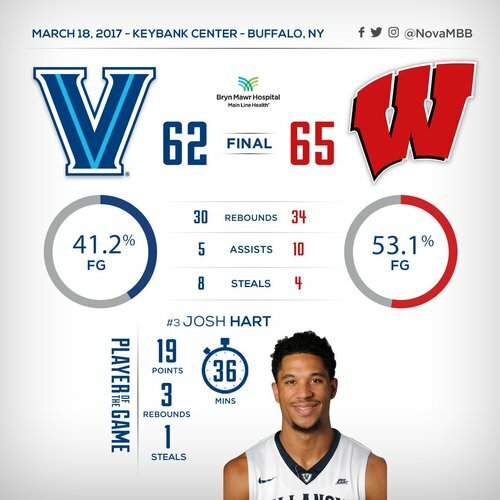 Then outscored Nova 15-5. Koenig, Hayes & Brown scored 13 of those. He can sing. He can shot. He can sing. He can shoot. So pretty. So very pretty. 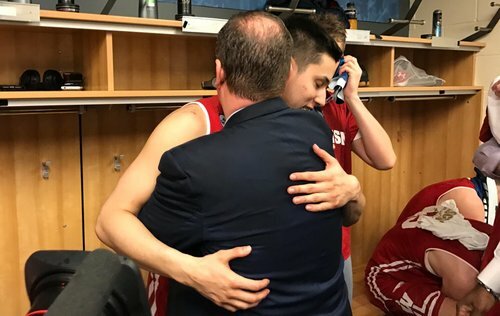 Greg Gard: I don't know if I can put it into words how happy I am for these guys and their teammates in the locker room. I don't know if I can put it into words how happy I am for these guys (Happ, Brown, Hayes, Koenig) and their teammates in the locker room.